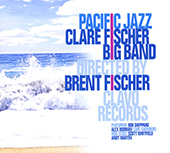 Brent Fischer, son of the legendary composer-arranger-bandleader Clare Fischer (1928–2012), carries on his father’s work of composing and orchestrating big band charts that please the eardrums and stimulate the brainwaves. 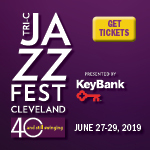 Pacific Jazz is a multi-generational affair, featuring writing and playing from both Fischers as well as previously unheard repertoire that spans seven decades. Brent Fischer not only directs his late father’s big band performing his father’s material—he also contributes tunes and arrangements of his own, not to mention playing bass, mallet instruments and auxiliary keyboard parts. Clare Fischer, who was able to hear and participate in much of the music on this album prior to his passing, contributes keyboard and piano parts to three tracks, including an introspective solo performance of Gershwin’s “I Loves You, Porgy.” Frequently calling for unconventional instrumentation, the arrangements on Pacific Jazzare deceptively sophisticated, executed with style and skill by an ace ensemble that includes saxophonists Bob Sheppard and Alex Budman, trumpeters Carl Saunders and Ron Stout, and trombonists Scott Whitfield and Andy Martin, among many others. 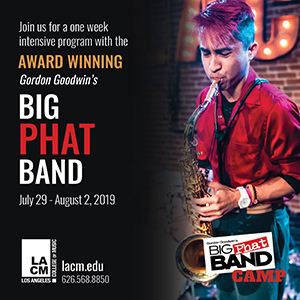 The presence of bass saxophone, contrabass saxophone, bass clarinet, contrabass clarinet and contrabass trombone is felt as much as heard on various tracks, inhabiting a world of low end where most traditional big bands dare not tread. On the high end, the orchestra is filled out with clarinet, flute, oboe, piccolo, soprano saxophone and sopranino saxophone parts, contributing timbres and textures usually reserved for chamber music. Clare and Brent Fischer’s thoughtful and playful arrangements are quite advanced, full of motifs that move through the music like modular mini-themes. The music here is interpreted with a high level of dynamic sensitivity and played with tremendous precision, resulting in a powerful collection that’s bound to appeal to fans of modern orchestrated jazz, or anyone who holds an appreciation for Clare Fischer’s enduring legacy. 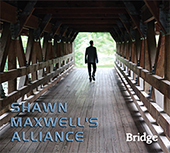 This five-song album is the excellent follow-up to the self-titled debut of Shawn Maxwell’s Alliance from earlier this year. 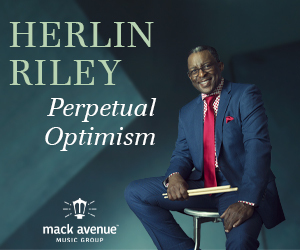 Maxwell, a Chicago-based alto saxophonist and flutist, demonstrates his ambitious vision on both outings. The Alliance is a driving tentet of unusual instrumentation. Not many jazz bands consist of two French horns, two basses, vibraphone, vocals, guitar, drums, alto saxophone and soprano sax. But it works. The vibes of Stephen Lynerd play it cool alongside the cutting guitar riffs of Mitch Corso. Keri Johnsrud’s ethereal voice plays well against the saxophone lines of Maxwell and Casey Fitzpatrick. The title track for Bridgebounces along quirkily, with horn lines coming in seemingly from all directions. “Monster Shoes” has a catchy bass/French horn-driven hook. “Ava” is a beautiful ballad where voice and saxophone share the melody. “Sector 7-G” digs into a bit of a Latin groove before shape-shifting into its own inner musical monologue. And “Plan Z” caps the set with some very cool saxophone overdubbing. Maxwell’s sense of humor shines throughout the program. He’s an artist with unique ideas and his own sound palette, and this disc offers further evidence of his terrific ear for composition and arrangement. This is bold music. Maxwell isn’t afraid to try out new ideas and take chances. OnBridge, that risk-taking pays off—big time. This sixth album by Jeff Coffin & The Mu’tet, a shape-shifting group led by a commanding saxophonist with a non-discriminating appetite for rock and jazz, shows that great things can happen when open-minded musicians collaborate in the compositional process. 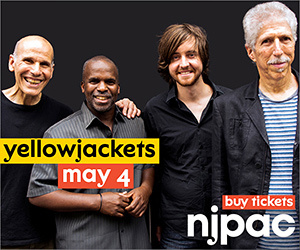 Coffin and his sidemen—Bill Fanning (trumpet), Chris Walters (piano/keyboards), Felix Pastorius (bass) and Roy “Futureman” Wooten (drums/percussion)—approached each tune with a mere skeleton of an outline, which was then worked out in rehearsals and pre-production to form a fleshed-out piece. 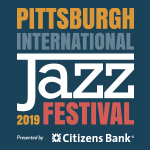 The resulting music blends straightahead jazz with sounds from New Orleans, Africa, India, Brazil and beyond that reflect the Mu’tet’s diverse tastes and interests. 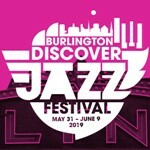 The core group had plenty of help in constructing this global vibe from world-class guests Zakir Hussain on tabla, Radha Botofasina on harp, Ryoko Suzuki on harmonium, R. Scott Bryan on congas, James DaSilva on guitar, Pat Bergeson on harmonica, Herlin Riley on tambourine, Rod McGaha and Mike Haynes on trumpet, Roy Agee and Barry Green on trombone and Denis Solee and Evan Cobb on tenor saxophone. Coffin sounds confident and strong as ever, whether he’s playing soprano, alto, tenor or baritone saxophone, and his “electro-sax” (tenor run through an envelope-filter effect) solo on the funkified “Scratch That Itch” is an absolute gas. Side Up has its reflective moments, too, like when Coffin plays solo acoustic piano on the touching opening number, “And So It Begins.” Overall, this is a highly accessible program of music that will appeal to listeners who crave the sound of spontaneity. 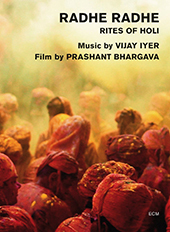 The film Radhe Radhe: Rites Of Holi is a wonderful collaboration between director Prashant Bhargava and pianist-composer Vijay Iyer. The two were inspired to commemorate the 100th anniversary ofLe Sacre Du Printemps (The Rite Of Spring)—the famous collaboration between classical composer Igor Stravinsky and ballet choreographer Vaslav Nijinsky. The piece was very avant-garde for its time and nearly caused a riot in the audience when it premiered in 1913. Spin ahead 100 years with Iyer and Bhargava, who put their own personal spin on a famous religious ritual: Bhargava traveled to India to film the Hindu celebration of Holi, an annual spring event also known as the festival of color or the festival of love. He came back with fascinating footage of this festival, where people throw brightly colored powder on each other and shoot colored water at friends and strangers alike in celebration of the love between the deities Krishna and Radha. The visual impact of Bhargava’s footage—depicting boisterous crowds dancing and reveling—is heightened by Iyer’s music. This big, orchestral work, which is performed by Iyer and the International Contemporary Ensemble, is sometimes driving and foreboding, sometimes beautiful and nearly quiet. This film isn’t exactly a documentary; it’s more of a visual and musical ode to Holi. Actress Anna George portrays Radha in the piece. She comes in and out of the narrative to look upon the proceedings approvingly. With this multimedia production, Bhargava and Iyer have captured the very complex nature of Holi as well as the beauty of India and its people. It’s hard not to wonder what it would be like to participate in Holi after seeing Radhe Radhe. It’s a surprising burst of visual and aural color—a romantically wrapped love letter to a people and their traditions. As part of the Next Wave Festival in New York City, Iyer and the International Contemporary Ensemble will perform this music, accompanied by Bhargava’s film, at the BAM Harvey Theater on Dec. 18–20. 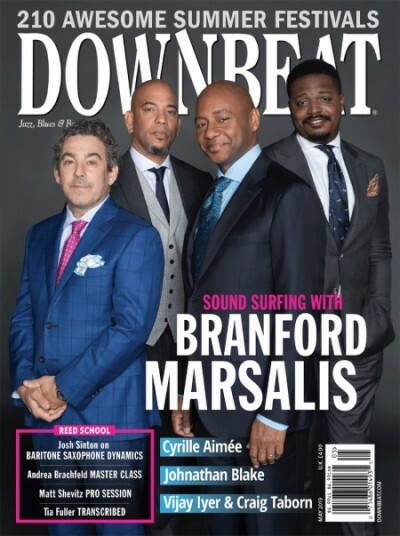 Banjoist Béla Fleck has topped DownBeat polls many times, including wins in the Miscellaneous Instrument category of the Readers Poll in 2013 and 2014. 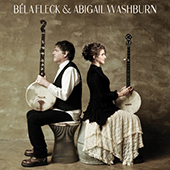 Fleck and his wife, the banjoist-vocalist Abigail Washburn, are the only musicians who appear on their new, self-titled duo album. They previously worked together on Washburn’s Sparrow Quartetproject, which explored Asian influences and found her singing “Taiyang Chulai,” a traditional Chinese folk song from the province of Sichuan. In 2009, Fleck released The Melody Of Rhythm—a collaboration that featured the Detroit Symphony Orchestra and percussionist Zakir Hussain on tabla—as well as Throw Down Your Heart, which was recorded in Africa with musicians from countries such as Uganda, Tanzania and Mali. On the duo’s eponymous album, however, they don’t explore world music styles, focusing instead on American roots music. The program features intriguing arrangements of traditional folk songs such as “Pretty Polly,” “I’ve Been Working On The Railroad” and “What Are They Doing In Heaven Today?” The musicians also composed material that has the feel of traditional tunes, such as “Little Birdie,” a tale akin to one of Aesop’s Fables, and “Shotgun Blues,” a Washburn original that was inspired by Appalachian murder ballads, but this time, the female character is toting the firearm. This impressive 12-track album is centered around the interplay of two banjos, and on some tracks, Fleck plays a low-tuned, five-string Gold Tone baritone banjo, which has a large resonating area to give low notes more depth. The duo’s 2015 tour includes concerts at the Avalon Theatre in Grand Junction, Colorado (Jan. 17), the Sangamon Auditorium in Springfield, Illinois (Feb. 20), and Carnegie Lecture Hall in Pittsburgh (April 11). Soprano saxophonist Sam Newsome has been on a path to liberation for years, most notably with his solo albums Blue Soliloquy (2010) and The Art Of The Soprano, Vol. 1 (2012). 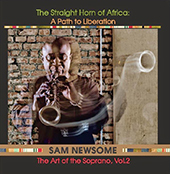 Now, with The Straight Horn Of Africa: A Path To Liberation, Newsome has truly freed himself, and his instrument, from traditional roles and expectations. Newsome has not only discovered a continuum that exists between Western harmony, Eastern music and the avant-garde; he has also unlocked the straight horn’s potential for extended techniques in a manner that brings to mind the groundbreaking work of virtuoso soprano sax visionaries such as the great Steve Lacy (1934–2004). Newsome’s music evokes ancient peoples and places, revealing the African origins of jazz and popular music—a connection often overshadowed by those genres’ deep-seated reliance on Western harmony. 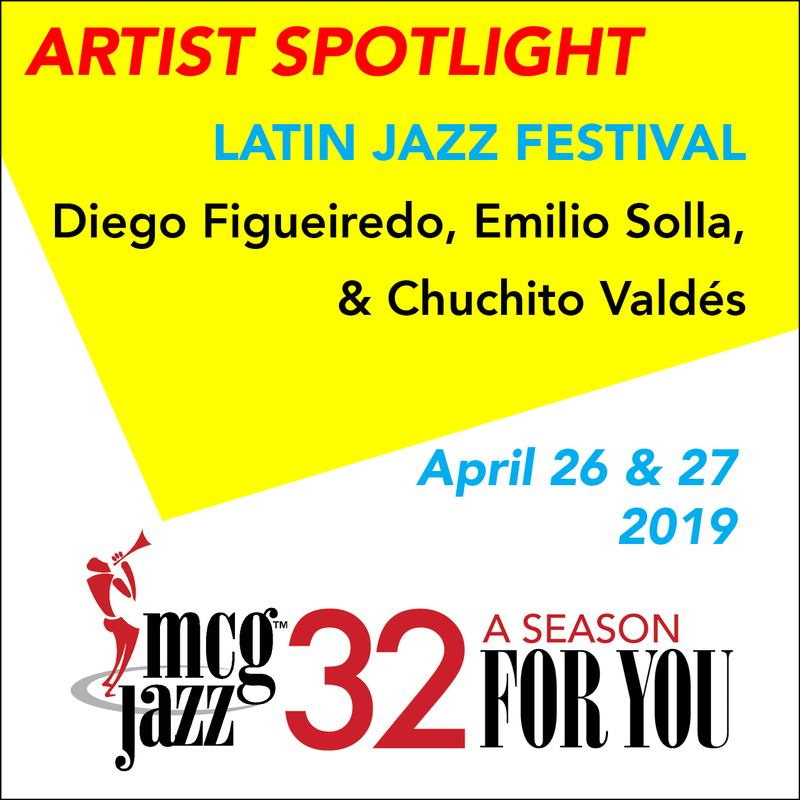 He pulls out all of the stops on the soprano, employing multiphonics, microtonality, slap-tonguing, circular breathing, vocalizations, talking drum-like key thumps and physical movement to create his melodies, rhythms and harmonies. Some tracks are layered via studio multitracking, with interlocking grooves and cyclical ostinatos pushing the simple themes along. Others are solo explorations that increase in complexity over the course of the album, ultimately yielding otherworldly sounding results. The sounds that Newsome seeks, and ultimately finds, are ones that date back to periods long before jazz existed but that informed its origins and consequent development. You won’t hear any direct references to straightahead repertoire here: This is naked soprano sax devoid of modern concepts—a pure voice achieved by an absolute master of the instrument. It’s extremely difficult to produce such palatable and emotionally stirring art by pushing an instrument so far beyond its traditional limits, but Newsome has refined his unconventional techniques to the point of creating a modern masterpiece. The Straight Horn Of Africa (which Newsome has subtitled The Art Of The Soprano, Vol. 2) will entrance you. Be prepared to shed any preconceived notions of the soprano saxophone and to let Newsome insightfully upend your understanding of how all the music styles of the world are interrelated. 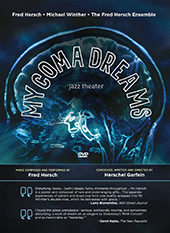 Fred Hersch’s brilliant multimedia pieceMy Coma Dreams lays out the long, troubling tale of the jazz pianist with HIV/AIDS being placed into a medically induced coma for two months as doctors tried to figure out what had sent him into septic shock. Now available on DVD (after being filmed live at Columbia University’s Miller Theatre in March 2013), the piece incorporates music, spoken word and computer graphics into a fantastically interesting 90-minute work that’s billed as “jazz theater.” My Coma Dreams feels more like Broadway than jazz, but that’s not a bad thing. It has beautiful musical moments and narrative passages that will make you laugh, think and maybe even cry a little. The piece was conceived, written and directed by Herschel Garfein based on eight dreams Hersch remembered after he was slowly brought out of the coma at St. Vincent’s Hospital in New York. The very talented Michael Winther plays the roles of both Hersch and Hersch’s life partner, Scott Morgan. Hersch’s character details what was happening in the dreams, which included everything from being strapped down in a panel van to competing with Thelonious Monk in a contest to determine who could compose a song faster. A section about a “Jazz Diner” out in the woods is hysterical. Another, called “The Boy,” is touching and insightful. While Hersch speaks of dreams, Morgan’s character deals with reality—how comas are very different from how they are portrayed in TV and film, how Hersch lost 30 pounds just lying there, how difficult it was to bring him out of the coma, and the pain of wondering whether he would survive the ordeal. The narrative here is smart, honest and true. And the music is superb. 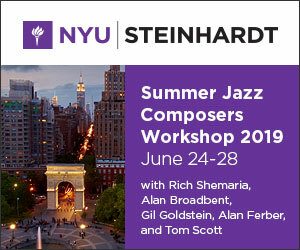 Hersch plays piano here, and he assembled an 11-piece ensemble that includes bassist John Hébert and drummer John Hollenbeck, plus a four-piece horn section and a string quartet. It’s interesting and uplifting to watch Hersch, the central character in the piece, serve as the “house” pianist for the group. There’s a crucial moment where he stands to mimic himself in rehab; it’s the only time Hersch breaks from his role as pianist, and it has a powerful effect. This is not an easy piece to watch, but it’s rewarding. I’m glad Hersch lived to tell of his dreams. (It reminds me of all the friends who didn’t live to talk about their own battles with AIDS.) This is a brave work of art that deserves to be seen and heard. 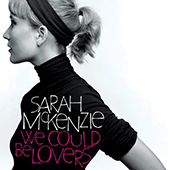 Sarah McKenzie interpreted songs by Irving Berlin, Duke Ellington and Johnny Mercer on her award-winning 2012 album, Close Your Eyes (ABC), and the singer-pianist continues in that vein onWe Could Be Lovers. The Australian-born, Boston-based McKenzie has a graceful piano touch, and her elegant vocal style is free of distracting curlicues. On her new album, vibraphonist Warren Wolf makes a dynamite contribution to the Ellington number “Love You Madly,” and Ingrid Jensen’s beautiful trumpet tone enhances the pep and pure fun of the original tune “Quoi, Quoi, Quoi.” The leader’s jaunty piano enlivens the swing element of Cole Porter’s “At Long Last Love,” and she makes clever artistic choices by extending vowel sounds in these lyrics: “Is it a cocktail, this feeling of joy?/ Or is what I feel the real McCoy?” Her charming version of Abbey Lincoln’s “The Music Is The Magic” features intelligent phrasing, plus a judicious use of scatting and handclaps to increase the fun factor. Wolf’s vibraphone is a brief but potent element in McKenzie’s version of “I Won’t Dance” (a tune that Frank Sinatra recorded, along with “At Long Last Love,” on his classic 1957 album A Swingin’ Affair!). Moving away from the keyboard, McKenzie and guitarist Hugh Stuckey perform a spare version of Mancini’s “Moon River,” proving that even the most shopworn standard can sound fresh in the hands of sensitive interpreters. 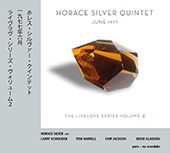 On June 28, 1977, pianist Horace Silver and a quintet consisting of trumpeter Tom Harrell, tenor saxophonist Larry Schneider, bassist Chip Jackson and drummer Eddie Gladden performed in a public marketplace in Bremen, Germany. Producers from Radio Bremen were on hand to record the concert for syndication. But as the radio crew prepared the band for sound check, they made a last-minute decision to put Silver (1928–2014) and his quintet on the air with a simultaneous broadcast—a process that typically requires weeks of planning. Back at the radio station, board operators quickly cut away from their scheduled programming and switched to Silver’s concert. 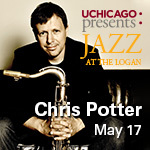 The result—nearly 70 minutes of unadulterated live jazz—was a hit with listeners. In fact, Radio Bremen’s decision to simulcast Silver’s quintet marked the first in a series of live performances that would continue for the next eight years—all of which would later be archived by German record producer Consul Bodo Jacoby, whose new Livelove series from the Promising Music label issued this album. This disc provides a crystalline snapshot of Silver in peak form. 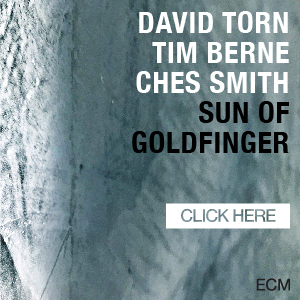 The soulful post-bop pianist’s melodic phrases permeate the album, both in his tastefully rendered background comping and in his sparse, vocal-like solo motifs. When Silver tends toward embellishment, as on the jazz waltz “Barbara,” his playing takes on a lively, ringing quality, especially in the upper register, where he spends plenty of time chirping out dissonant harmonies and staccato polyrhythms. Silver’s accompanying musicians match his intensity: Jackson with a sizzling electric bass solo on “Sophisticated Hippie” and Gladden with a cascading solo feature on “Incentive.” Harrell’s electrifying solo on “Out Of The Night Came You” is replete with Woody Shaw-esque pentatonic lines, funky side-slips and lightning-fast chord substitutions. During “In Pursuit Of The 27th Man” (the title track to Silver’s 1972 album), the band locks into a steadfast fusion groove, carried along forcefully by Jackson’s nimble bass line. With such complex rhythms held together at such high speed, the tune is a glowing example of the group’s collective power. The album closes with a 13-minute version of Silver’s bossa nova-tinged classic “Song For My Father.” Enlivened by a spirited, unrestrained solo section, the tune unfolds into a groove-driven free-for-all, with Gladden and Jackson splashing colorfully behind Schneider’s diesel-fueled tenor sax riffs. The album’s final passage is a touching improvised cadenza by Silver, a fitting end to a spontaneous concert caught in the heat of the moment. Guitarist Duke Robillard, 66, and vocalist-harmonica player Billy Boy Arnold, 79, make a great team. The guitarist has collaborated with the Blues Hall of Famer before, having produced his 2001 album Boogie ’N’ Shuffle. Robillard fulfills the same role on The Blues Soul Of Billy Boy Arnold, contributing tasteful, taut guitar solos, often preceded by the leader’s encouraging cue “Alright, Duke.” Arnold’s delivery sometimes sounds midway between talking and singing, but Robillard’s production frames the leader’s vocals with muscular instrumentation and a few punchy horn charts played by members of Roomful of Blues: trumpeter Doug Woolverton and saxophonists Rich Lataille (alto and tenor) and Mark Earley (tenor and baritone). The result is a traditional blues disc with a hearty dose of soul. Arnold offers sturdy renditions of songs penned by B.B. King (“Worried Dream”), Chuck Berry (“Nadine”) Mack Rice (“Coal Man”) and Joe Tex (“A Mother’s Prayer”), as well the traditional tune “St. James Infirmary” and three original numbers. 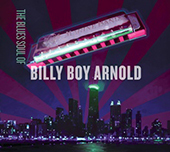 Arnold adds fiery blues harp to some tracks, including his rendition of Ted Taylor’s 1963 tune “You Give Me Nothing To Go On.” The album closes with the bouncy original “Keep On Rubbing,” in which a jubilant Arnold sings, “My mama had a washboard and a brand-new tub/ My daddy had one old, dirty shirt, and they began to rub.” This album will please longtime fans as well as those who are just now discovering Arnold.